تـضـا مـن TADHAMUN: HRW Dispatches: Doomed to Repeat History on Iraq? HRW Dispatches: Doomed to Repeat History on Iraq? 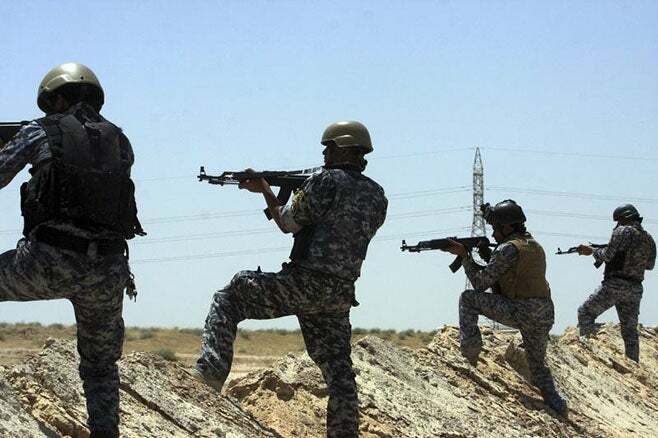 Members of the Iraqi security forces patrol an area near the borders between Karbala Province and Anbar Province on June 16, 2014. Six years ago, the United Nations Human Rights Council lauded Sri Lanka’s commitment to the “promotion and protection of all human rights” at the close of its bloody conflict with the Liberation Tigers of Tamil Eelam, a group that had committed horrendous abuses. Just two years later a UN panel concluded that tens of thousands of civilians might have been killed during the last five months of the war, most by unlawful government shelling. Despite that recent debacle, the Human Rights Council stands poised to repeat the mistake, this time in a resolution over another bloody conflict – in Iraq. Drafted by Iraq itself and put forward by the group of Arab states at the Council, the resolution was circulated the same day the UN High Commissioner for Human Rights reported that Iraqi security forces and affiliated militias “carried out extrajudicial killings, torture, abductions and forcibly displaced a large number of people, often with impunity,” noting that by doing so, they “may have committed war crimes.” Human Rights Watch’s own reporting on similar abuses was more detailed, and even more damning.